The format will be grouped, with 14 games played over two days, and will be ABSP rated. The A group will be players with an ABSP rating over 119.9, with rest of players in B group. Players can opt to play up into A group. The AGM will be held during the tea break on the Saturday afternoon. Registration 9:45am on Saturday with first game at 10:15am; event will finish by 6pm on Sunday. To register please email events@irishscrabble.org or phone / text John Cunningham-Ryan on +353 (0)86 395 3846. There will also be a 4-game mini-tournament on the Sunday afternoon. This is for novice players, or players who can’t make the full event. First game 1:15pm (register at 1pm). €55 per person sharing per night. 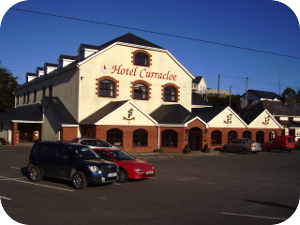 €15 supplement per night for single occupancy. Please contact the hotel directly to book, and please state that the booking is in connection with the Scrabble Tournament.